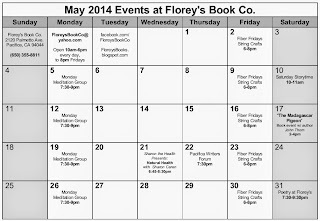 May 2014 Events at Florey's Book Co.
A humorous mystery novel set in the Bay Area! with guest Lorna Rodriguez Wong, essential oil cooking! May 22nd, 7:30 pm. Come and share the joy of writing, reading, and poetry! 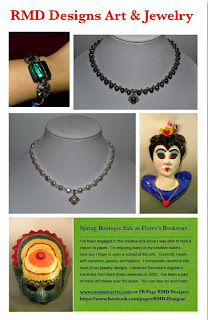 Ryann Murrin of RMD Designs Art & Jewelry Boutique! April 27th at Florey's! 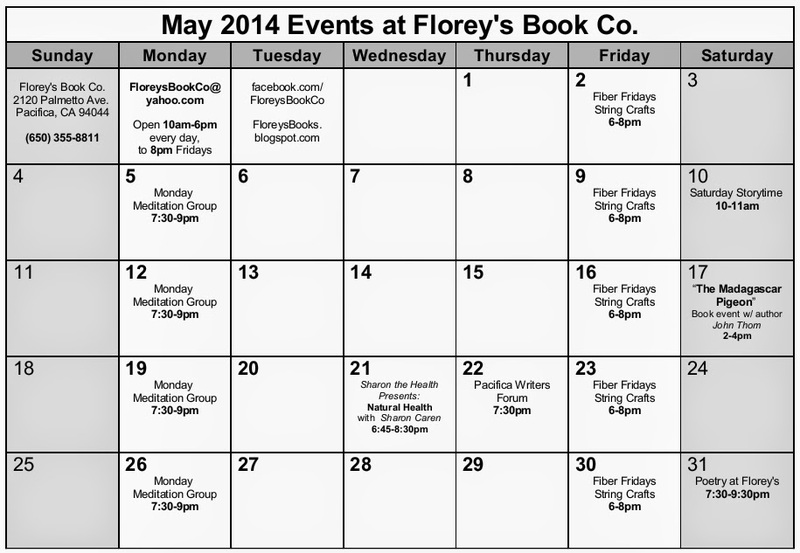 April 2014 Poetry at Florey's! I gleefully announce the second reading of the month at Florey's, in celebration of National Poetry Month, which will be a poetry bonanza! 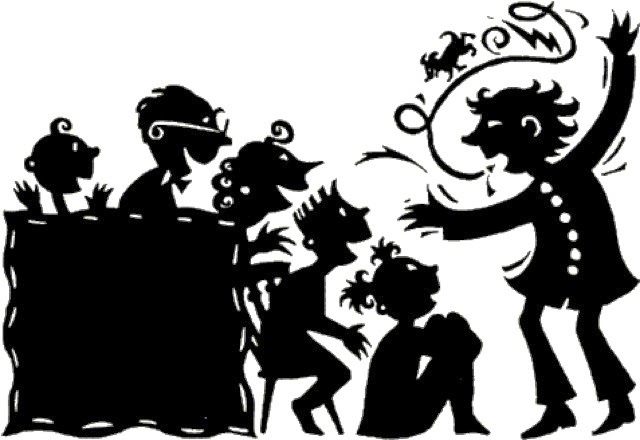 This time, we will have a sneak poet, Priscilla Wathington; the host of the longest running open mic in San Francisco (Sacred Grounds Cafe), Dan Brady; everyone's favorite Celtic harper and poet, Patrice Haan; and me. For obvious reasons, it's going to be a bit longer program than usual, but I hope it will also be an evening of a resonant, many-hued diversity of voice. Please consider bringing a snack or beverage to share, if you can, planning to raise your own voice at open mic, or just come to listen, and help us celebrate language and the spoken word. 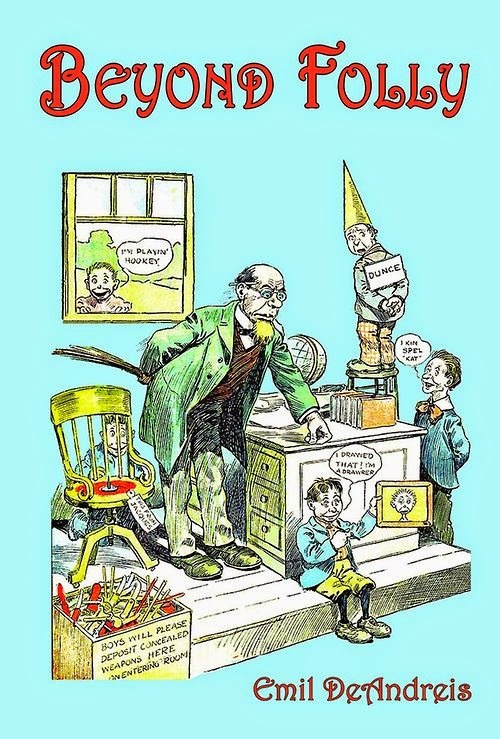 "Beyond Folly" Book Event with Author Emil DeAndreis, April 26th at Florey's! Florey's Books welcomes San Francisco author Emil DeAndreis as he discusses his new short story collection "Beyond Folly". 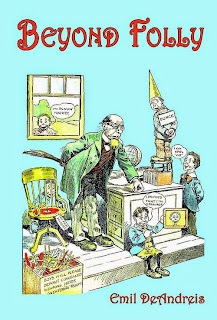 Welcome to the wonderful world of public education, as seen through the eyes of seasoned substitute teacher, Horton Hagardy. It's a time you might recall with great fondness if you were a student--a day to escape the oppressive existence of your everyday tormentors. If you're a substitute, however, these dark, funny, and often poignant stories, take you to a very real place. In Emil DeAndreis's new book, Beyond Folly, we are on the front lines of the education system, in the trenches, so to speak, of what it feels like to face the everyday challenges of being a teacher on call. These thoughtful and insightful linked-together tales give the reader a behind-the-scenes peek into the life and mind of a substitute teacher, an isolated, underpaid, and underappreciated professional. Emil DeAndreis is a twenty-seven-year-old substitute teacher and high school baseball coach in San Francisco. "Eat Light & Feel Bright" Book Event with Author Jeffrey Bruno, April 19th at Florey's! 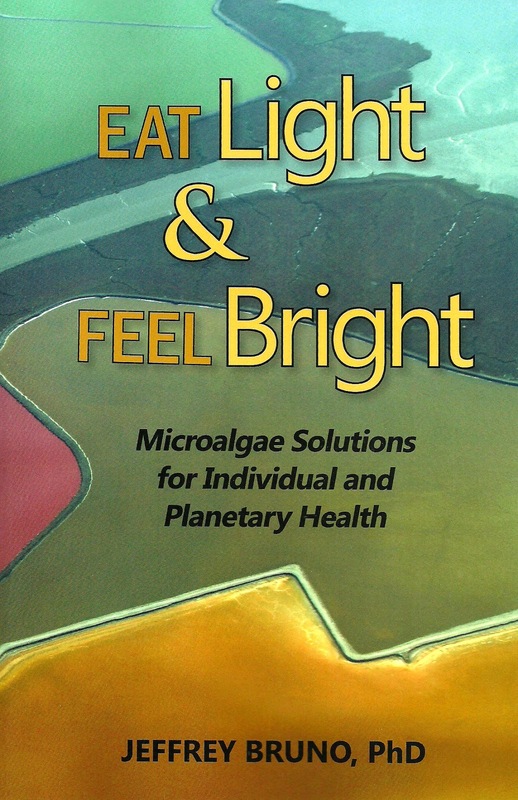 Florey's Books welcomes Pacifica author Jeffrey Bruno, PhD as he discusses his new book "Eat Light & Feel Bright: Microalgae Solutions for Individual and Planetary Health"
Algae represent a greater diversity of life than all of the species of plants and animals on our planet! Yet most people are ignorant about the numerous microalgae solutions for our individual and planetary health. Jeffrey Bruno, PhD has created a comprehensive, well researched book (nearly 1,000 scientific references). Eat Light & Feel Bright is a solid evidence-based book, backed by clearly explained stories and scientific studies. 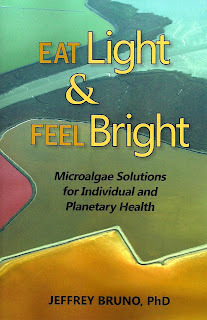 He sheds light on how these transformational microscopic organisms can rebuild our health and restore our environment. Jeffrey Bruno, PhD, is a psychologist specializing in nutritional and mind-bodyapproaches for behavioral health. A popular lecturer, Jeffrey speaks on the importance of micronutrients. Most of all, he is passionate about microalgae solutionsfor personal and planetary medicine. he hasconducted clinical studies on blue-green algae for children with learning challenges and immune disorders. 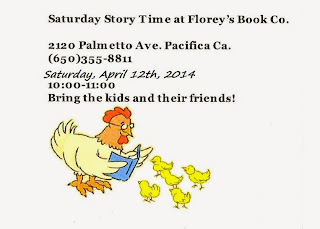 Pacifica Writers Forum, April 17th at Florey's! This months guest readers: Camincha and David Hirzel. 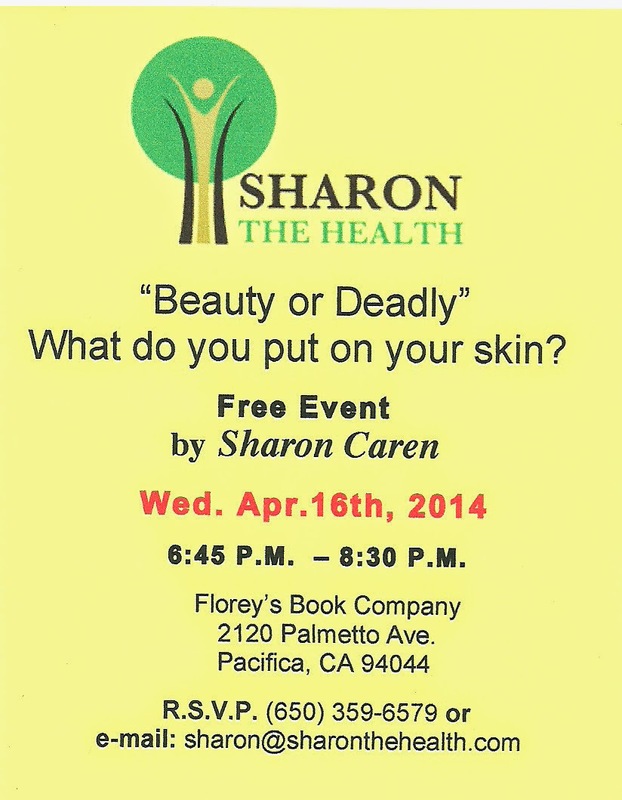 Sharon the Health Presents: 'Beauty or Deadly', Wed. April 16th at Florey's! What is actually in your tooth paste and facial products? This may Shock you! Education is the key to health and longevity. 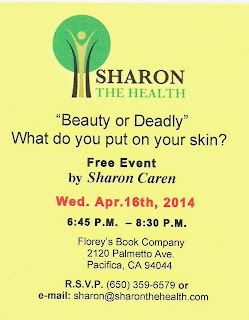 Come join us to discuss safe alternatives to the harmful inactive ingredients found in most of the OTC health and beauty aids. *Bring a new person with you that hasn't attended before and receive a gift! Also, check out: www.youngliving.org/sharonthehealth for more information. 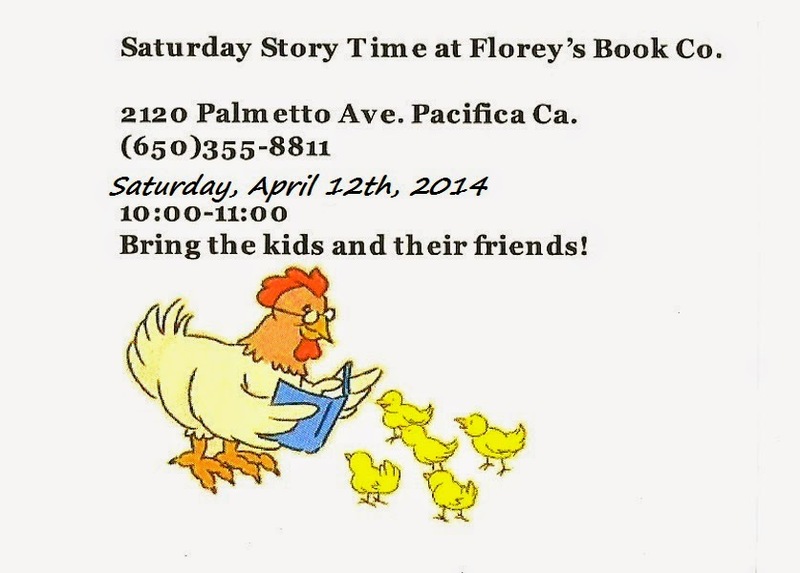 Special Poetry Reading at Florey's - April 12, 2014! Florey's Books welcomes Erica Goss for a National Poetry Month reading! I hope you will consider coming to Florey's next Saturday for this special event with Erica Goss, Poet Laureate of the city of Los Gatos. She'll talk about her new book, read her poetry, be available for conversation during the break, and part of the audience for open mic. So, bring a snack or beverage to share, if you can, and help us celebrate National Poetry Month!